I should be finishing up my March For Our Lives post. Instead I got distracted by some old photos of Turkey. I taught English in Istanbul from 2000-2002. Incredible people, city, and country. For a while I had the notion of charting a course for retirement in a small Turkish town on the Mediterranean, something like Ayvalik. That's no longer in the plans. But I hope to visit again - I have always felt a strong connection to Turkey, and I would love to dive into that fantastic Ottoman/Turkish cuisine again. I scanned a few of the photos today. This is by no means a photo essay or a travel piece, but I figured I'd go ahead and post some of the photos. Perhaps eventually I will get all of my photos and negatives scanned and work on a more cohesive piece. Ferry, Istanbul, Turkey, sometime between 2000-2002. It's been a while, but I suspect this ferry was headed to Kadikoy. I can't remember if ferries ran to Fenerbache or Bakirkoy. The Sultan Ahmet Mosque (Blue Mosque), Hagia Sophia, and Hagia Irene are visible in the distance. Hagia Sophia, sometime between 2000-2002. Justinian: "Constantine, I have surpassed thee." Credit for the Quote: John Julius Norwich in his series about Byzantium. I think I shot all of these on my Nikon 8008S. They're not very good, but they bring back memories. Some of them may have been on disposable cameras, but I don't think so. Bosphorus at sunset, sometime between 2000-2002. 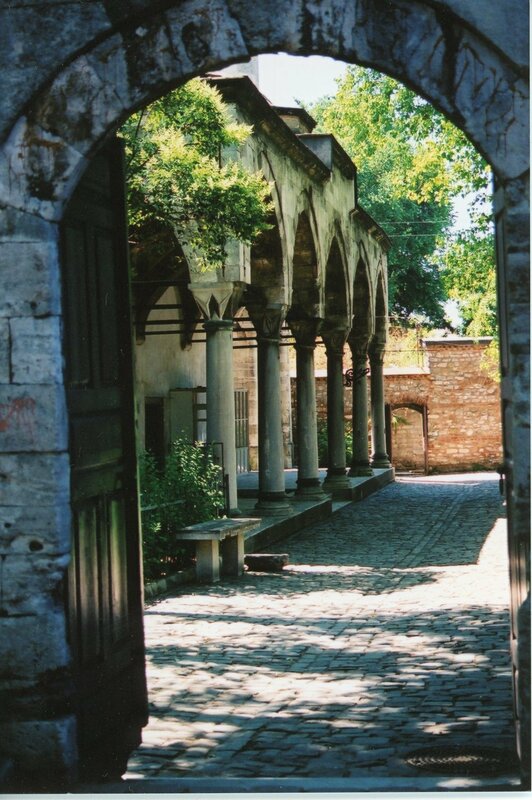 Ishak Pasha Saray, Dogubeyazit, Turkey, sometime in 2001 or 2002. Kucuk Aya Sofia (or Little Hagia Sophia), sometime in 2000 or 2001.